Is buying a new home really worth it? Buying new certainly comes with plenty of perks such as lower maintenance costs, a modern look, and more energy efficiency compared to existing homes. While a recent Trulia analysis shows that buying a new home will cost you approximately 20% more than a comparable existing home, homeowners who choose to buy new say it is well worth it. So how do you know if buying a new home is right for you? Modern features is the most common reason people prefer a new home, especially in today’s high-tech world where “Smart” appliances and security systems can keep your home running smoothly and safely. Another top perk of buying a new home is that you often have the option to customize the home to suit your individual preferences. 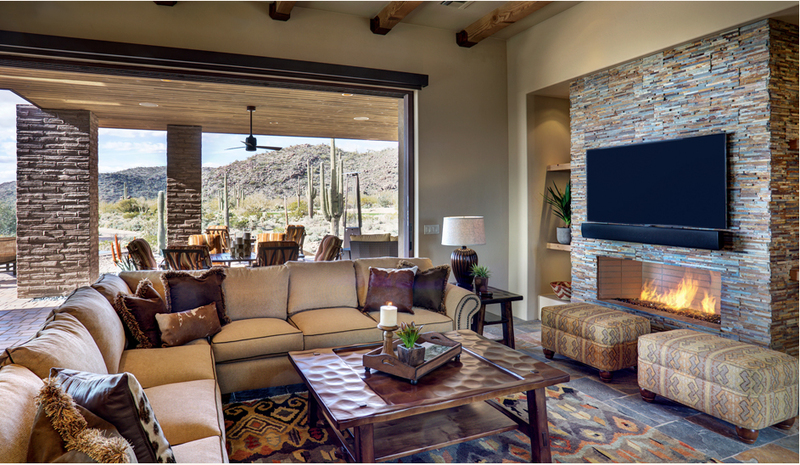 For example, our homes at The Residences at The Ritz-Carlton, Dove Mountain allow you to do just that. You can choose from 8 floor-plans and then customize the home with our designers. Or you can choose a beautiful piece of land to build a new custom home from scratch. The Residences at The Ritz-Carlton, Dove Mountain is a community unlike any other in Marana. It has the most luxurious Dove Mountain homes for sale with prices from the $800,000s to over $2 million. The community was developed in 2008 and has active families and couples of all ages, including many on the younger side of retirement as residents. Another bonus to buying new homes at communities such as The Residences at Dove Mountain is the extra amenities that are available to homeowners, such as golf, tennis and fitness facilities. With the Ritz-Carlton resort right next door, residents can also take advantage of the resort’s pools and cabanas. And on top of all that, Management by The Ritz-Carlton provides residents with the added touch of world-class service, from valets and concierges to cooks and housekeepers, if ever and whenever they are needed. The best existing homes to buy are typically homes that are less than 5 years old. These homes will have modern features and all of the little things installed like light fixtures, fans and blinds, as well as an established lawn from the previous owners. However, always be cautious when buying existing homes. Make sure you have the home inspected by a professional that you trust, as existing homes can often have issues, such as foundation cracks, insulation errors, and pest infestations, to name a few. Finally, there are many foreclosure listings that may look enticing because of their price, but these homes are often the most dangerous to buy, because you just don’t know what damage has been done to the property by the previous owners. Whichever option you choose when purchasing your next home, the most important thing is that you and your family feel truly at home in your new space.